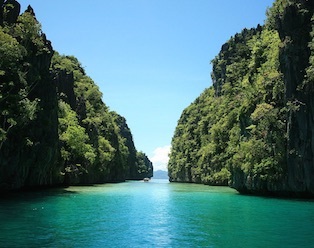 Tour A is one of the best and most popular island hopping tours in El Nido. During the day, you will discover beautiful lagoons, beaches and snorkeling spots where you can swim and admire the corals, the colorful fauna and its hundred of fishes species. Price is of only P1200 and you can book it online today! For all our island hopping tours in the Bacuit Bay, the meeting point in the morning of your tour is located at our office just near El Nido beach front. The departure will be either from there or from Corong-Corong beach. All the practical informations will be sent to you by email right after your booking. Note that we offer “counter-the-clock” and “reverse order” options for our private tours, which are designed to allow you to avoid the crowds during your island hopping day. You can check this page for more informations. The duration of the tour is about 7 hours in total. We will bring you back to El Nido around 4pm o’clock. During the island hopping Tour A, you will stop in Big Lagoon, Secret Lagoon, Shimizu Island and Seven Commando Beach. At noon, we will stop on an island for lunch. There, our crew will prepare a delicious grill for you. You can choose between grilled fish, grilled chicken and grilled pork. With that, you will have rice and fruits for dessert. You can bring your own beverages (soft drink or alcohol) if you wish. In any case, we will supply you with plenty of drinking water. You can book with the best prices in town through our online booking. Why People Love To Choose Tour A? 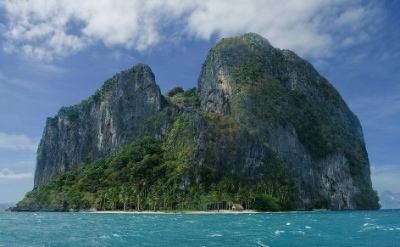 With the island hopping Tour C, the Tour A is one of the most popular in El Nido. Why is that? First of all, when one arrives in El Nido and ask what is the best tour to do, locals will undoubtedly answer: “Tour A or Tour C”. Tip: If you want to enjoy your tour to the fullest, consider going for a Private Tour A instead of the public tours. You’ll get a boat for your group alone and you’ll be able to avoid most of the crowds! Tour A is most beloved because it will bring you to see not one but two of three beautiful lagoons located around Miniloc Island: either Small Lagoon or Big Lagoon, and Secret Lagoon. Swimming and snorkeling there is just amazing. Clear water, numerous fishes… you name it! 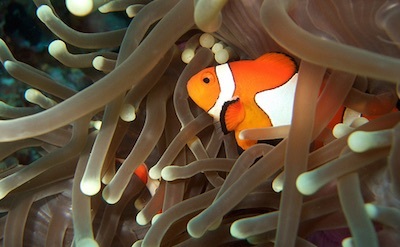 Tour A will then take you to Shimizu island, where you can snorkel and see corals and/or relax on the white sand beach. This is also where, most of the time, your boat will stop for lunch. 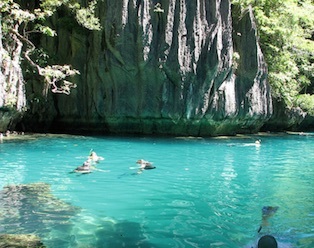 With its great limestone cliffs covered with vegetation, a representative of the geological beauty of El Nido. At the end of the day, the tour will stop of 7 Commando Beach, which has a long white sand beach, and where you can also find a little bar that will serve you refreshing drinks. While snorkeling there, you may encounter a few sea turtles, so keep your eyes open! 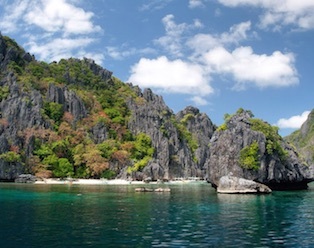 For all these reasons, Tour A is one of the best you can do while during your stay in El Nido. 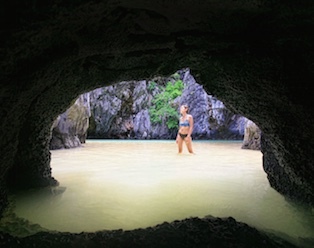 To get more advices on which tour(s) to choose while you are here, you can read this article: What is the best island hopping tour to do in El Nido? Also, don’t hesitate to send us an email to ask us which tours we recommend for you, based on your desires and duration of stay. 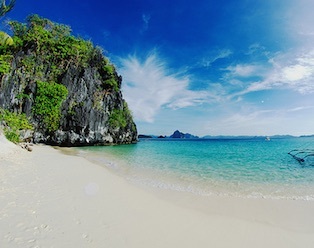 We’d love to hear from you and help you to have the best stay possible in El Nido! Save time and plan your adventure today thanks to our online booking office!